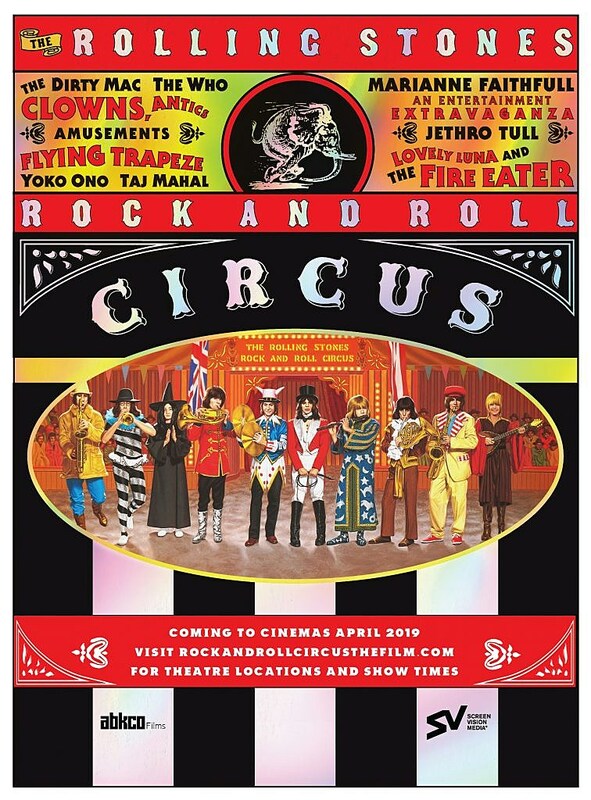 Filmed in 1968 for a BBC special that never aired and not officially released until 1996, Rock and Roll Circus remains a truly must-see film. It’s got the only footage of Tony Iommi performing with Jethro Tull before he left to form Black Sabbath (though technically he was only miming his performance). It was the last public performance that Brian Jones made with The Rolling Stones before his untimely and tragic death. It was the only performance ever by the one-time-only supergroup The Dirty Mac, whose lineup included John Lennon, Yoko Ono, Eric Clapton, Mitch Mitchell, and Keith Richards. And it’s got an astonishing performance by The Who of Pete Townshend’s first rock opera, “A Quick One While He’s Away.” Legend has it that one of the reasons the Stones withheld the film was that they felt upstaged by The Who. In NYC, the film is screening at Alamo Drafthouse Brooklyn, AMC Empire 25, Regal Court Street 12, Regal E-walk, and Regal Kaufman Astoria. Find a theater near you and get tickets at rockandrollcircusthefilm.com.